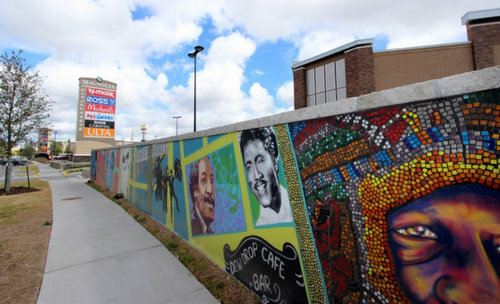 Development on South Claiborne Avenue has made significant strides in recent years, but more attention is needed to quality-of-life issues of crime, blight, panhandling and litter in order to attract more retail investment to the corridor, City Council members said. On Thursday, City Councilwoman Stacy Head convened what she described as an annual summit before the council’s Governmental Affairs Committee about South Claiborne Avenue, which she hails as “New Orleans’ next high-quality retail corridor.” The discussion featured the heads of numerous city agencies, who each reviewed their departments’ commitment to improving and maintaining the busy stretch. Brenda Canada, vice president for retail attraction at the New Orleans Business Alliance, said she and others had just returned from the International Council of Shopping Centers convention, where businesses are expressing increased interest in moving to New Orleans. As recently as 2011, national retailers were still asking whether the city would be rebuilt, Canada said. On South Claiborne, Canada said she and council members have been meeting with specific shopping center owners about attracting tenants that will draw more customers. She praised the opening of Magnolia Marketplace as a model for other property owners, and offered a slide that said retail sales there have been ahead of expectations. Much of the discussion at the summit was about maintaining the city services Head described as “the basics:” grass cutting, blight remediation, enforcement of sign laws and other issues. One small but important indicator of progress, Head noted, was the installation of overhead signs marking the names of the cross streets. Head also lavished praise on city agencies for recent landscaping improvements around the Martin Luther King Jr. memorial, for replacing the decorative bollards that had been overturned by errant drivers, and for working with agricultural experts to treat soil conditions that were threatening some of the recently-planted trees. The next area of focus, Head said, should be the areas of the neutral grounds where the grass cannot be maintained because of all the people who spend all day “camping” in them. One option, she said, would be to provide actual outdoor seating areas that anyone can use, instead of the folding chairs and other items dragged into the neutral ground. Several properties need increased scrutiny from city agencies, Head said, such as the triangular-roofed building at 2701 South Claiborne that she hopes can become a permanent grocery store, or the blighted abandoned apartment building at 2616 South Claiborne where a dead body was found inside in 2014. City officials described multi-agency “sweeps” that they regularly conduct. A sweep in early May on South Claiborne netted dozens of violations, and officials plan to return in July, they said. One area of particular scrutiny was tire shops, to make sure they are properly permitted for rubbish disposal. They also cite businesses for litter — which city ordinances say is the property owner’s responsibility even 18 inches into the street. City Councilwoman LaToya Cantrell asked officials to make sure her office is aware of the list of businesses being targeted for enforcment. In her view, some need more scrutiny, and some need more assistance, she said. For example, Jazz Daiquiri near Louisiana Avenue was cited for excessive signage, she said, but they are also at one of the locations most heavily affected by the massive SELA project. “Many of our businesses adjacent to the SELA project need a little bit more love, need a little bit more help letting the city know they’re open for business,” Cantrell said. On the other hand, Cantrell said she is concerned about several of the gas stations along the corridor that seem to be a magnet for drug dealing and other unsavory activities. The state Alcohol Beverage Control board should also be included in those sweeps, she said. She is particularly concerned about a gas stations on General Taylor Street and near Toledano, including one where Tulane graduate Thomas Rolfes was last seen purchasing bottled water shortly before being shot to death earlier this month. “I don’t go there, and I sure wouldn’t go there at 3 a.m.,” Cantrell said. Likewise, Cantrell asked for more attention to litter around the Family Dollar — not only on South Claiborne, but also around the city. Noting that she lives just a few blocks off South Claiborne, Cantrell listed a number of other specific properties that she said need city attention. The street’s condition is personal to her, she said, but also crucial to thousands of New Orleanians who travel it every day, and emblematic of the needs of the city as whole. Old guys drinking beer in the shade on Claiborne is part of that neighborhood the whole time I’ve lived in New Orleans for more than 40 years. I treasure it. It’s their space, not some out of town developer’s. To hear a city councilwoman plan to displace the people who live in the neighborhood, take away their traditions, and turn our city into some generic space that looks like any other ugly town in America is just disgusting and unacceptable. Go away, Stacy. Go live somewhere generic and full of shoe stores and drive-throughs and clean sidewalks and enjoy counting your money. Leave New Orleans and New Orleanians alone. You’re absolutely right. New Orleans really needs more unemployed folks getting wasted on the neutral ground. Those are our culture-bearers hard at work, right?! Fool. “To hear a city councilwoman plan to … turn our city into some generic space that looks like any other ugly town in America is just disgusting and unacceptable.” …I couldn’t agree more. Leave our monuments alone! Is that so? What about if this “shade” is on private property? Is it still their space? The neutral ground is not private property. Um. Yes, I understand that. I said “what if” it was? I mean if these homeless people dirty and drinking migrate over onto private property. Is that their space too? Are we supposed to just tolerate that? Well, yeah. You don’t think they are going to defecate on their drinking area, do you? Your private property is their not so private potty. This is the woman who cried because people didn’t respect the feelings of the Lost Cause apologists defending Robert E. Lee at the City Council meeting. Now she’d like very much for the black people to go inside and not bother the white people shopping at the strip mall on Claiborne. What is happening in New Orleans? This has nothing to do with race, so stop it. Most of the panhandlers are white, most shoppers in the area are black. Go there and look around. She’s not talking about the panhandlers, who you are correct, are mostly white and don’t live in the neighborhood. She’s talking about the old black guys who sit on chairs in the shade having a few beers. They’re not hurting anyone. If they are able bodied (i.e. able to get to a store, purchase liquor, make their way to the neutral ground, set up chairs, and spend the day drinking)…. then they ARE hurting people. The compliant Louisiana tax-payer. That’s who they hurt. Excuse me if I have a problem with able bodied working-age men drinking beer on a a Tuesday at 10 am while I pass them to work. If these able-bodied, working age men are receiving ANY means tested welfare, then my work provides for them. So yes – they are hurting someone. The compliant tax-payer. I love those guys as long as they keep the place clean. There is a group that hangs on the lot where H&R Bar once was at Second and Dryades. Fabric of the neighborhood there.